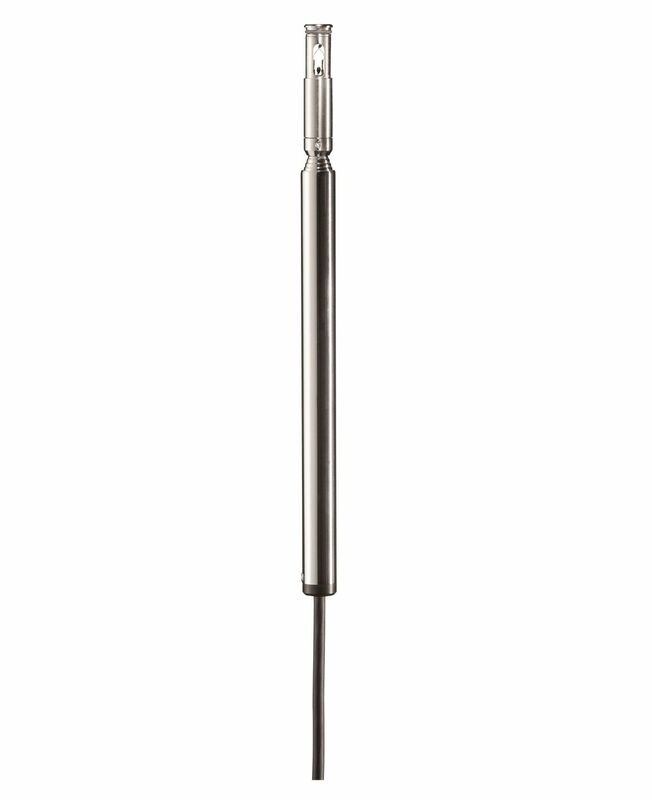 Hot wire probe (Ø 10 mm) for flow and temperature | Sondas – Fio aquecido | Sondas | Tipo de Produto | Instrumentos Testo S.A.
Use the hot wire probe (thermal anemometer) to determine flow velocity and volume flow in laboratory fume cupboards. It is particularly suitable for low flow velocities up to +5 m/s. One of its most impressive features is its ultimate precision. Measurement of inflow speed and integrated calculation of volume flow produce quick results. The probe can also measure temperatures up to +50 °C at the same time. The hot wire probe is equipped with a telescope, which can be extended to a maximum length of 730 mm. Use of the telescope enables the sash opening to be kept as clear as possible, so that the flow velocity is not affected. One particularly practical feature is the fact that the probe can be changed while the measuring instrument is switched on. Hot wire probe (Ø 10 mm) with telescope (can be extended to 730 mm) including fixed plug-in.